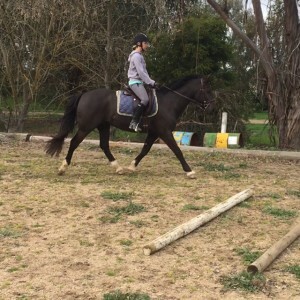 Amy’s veterinary nursing career began at the Goulburn Valley Equine Hospital where she worked for 2 years. She has since spent some time working with small animals, but is now back working with her preferred species. Amy is an accomplished horsewoman who regularly gives riding lessons as well as competing in various equine disciplines. Amy has completed her certificate IV in veterinary nursing to further her professional training. Shannon began work at Warby St Veterinary Hospital in 2014 as part of her studies. Shannon completed her Certificate IV in Veterinary Nursing in December 2015. Shannon is a horse riding enthusiast and enjoys trail riding and horsemanship clinics. Please make Shannon welcome if you see her on your next visit to us. 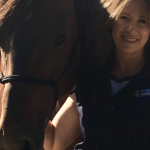 Lynne joined our Equine Nurse team in 2016. Lynne has owned horses all her life and has a special interest in Western riding. Please make Lynne welcome if you see her on your next visit to us. Kylie joined our Equine Nurse team in 2016. Kylie is a horse riding enthusiast and enjoys trail riding and horsemanship clinics. Please make Kylie welcome if you see her on your next visit to us.